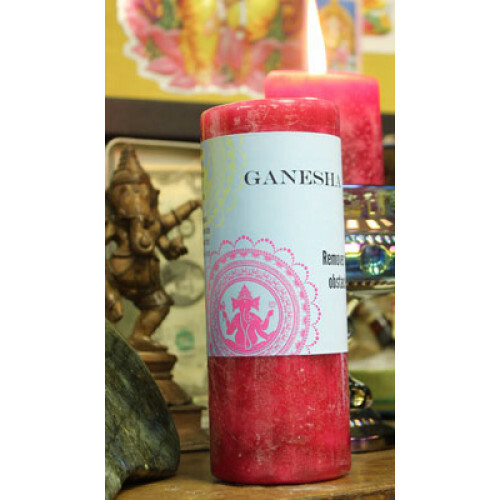 A vibrant pink candle with a sweet date, tangerine and bergamot scent. 2.5 x 6.5 pillar burns for 80 hours. His message is: Spiritual perfection comes when we use reason and knowledge to temper our emotions, and cut our attachments so we can be of this world without being affected by it. His likeness, rich with symbols, shows us his connection with the material plane and his desire to help us with our day to day concerns. 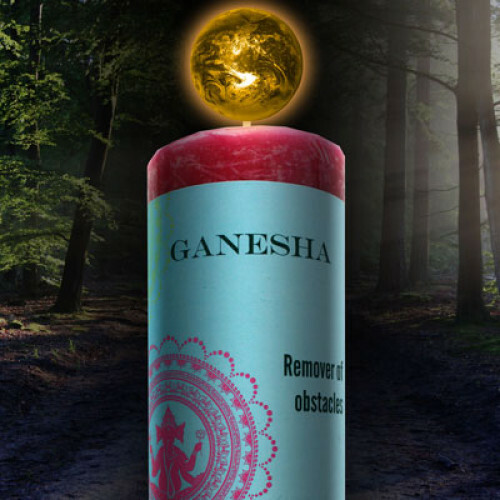 Ganesha is the remover of obstacles and is prayed to before any venture for success and wisdom. Even though his hands are very busy he always has one available to bestow blessings on anyone who asks. 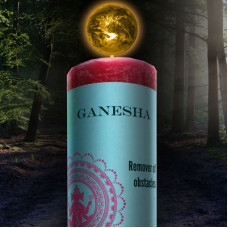 Om shri Ganesh Namaha- Great Lord of Wisdom, Here I stand with so many great decisions to make, with so many ways to turn. I beg your Grace, please fill me with righteous judgement and clear discrimination as I lay all confusion at your feet and immerse myself solely in your being.